Nolensville parents are fighting against a proposed school rezoning plan. Some parents want their kids to stay at Mill Creek Elementary School. 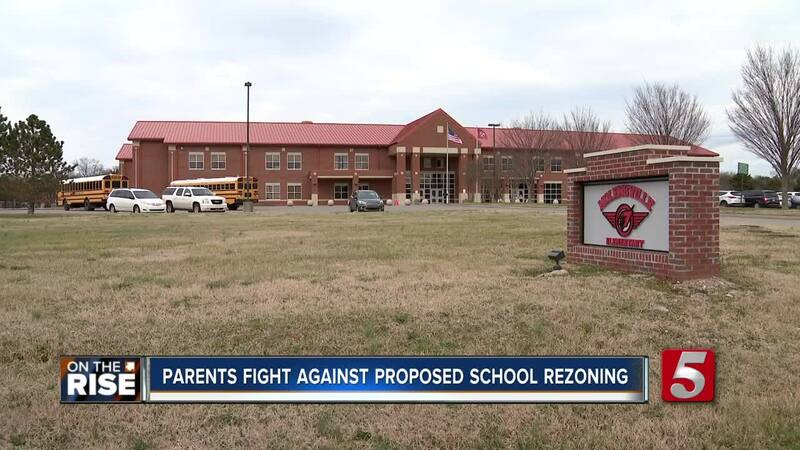 NOLENSVILLE, Tenn. (WTVF) — Nolensville parents are fighting against a proposed school rezoning plan. Some parents want their kids to stay at Mill Creek Elementary School. In Nolensville the population has skyrocketed, so more schools have been built in recent years including Mill Creek Elementary. Every morning, Jessica Stults and her 2nd grader use a trail that the neighborhood paid for, to get from the Silver Stream Farm neighborhood to school. Stults said, "We counted this morning, and we had over 65 kids walking or biking to school this morning." About 200 kids from the neighborhood go to Mill Creek Elementary. According to a spokesperson with the Williamson County school district, Mill Creek Elementary is over capacity at 860 students. It's supposed to have 800 students enrolled, which is why the district wants to rezone the neighborhood for Nolensville Elementary. As of now, it has room for more students like Stults' 7-year-old. Stults said, "So Mill Creek Elementary opened in fall of 2016 and she was in Kindergarten then, but our 3rd and 4th graders went to Nolensville and then they went to Mill Creek and now they're looking at being rezoned back to Nolensville." Jessica said changing schools is hard on kids, and they wouldn't be able to walk to Nolensville Elementary because its located on a busy road without sidewalks. Stults said, "It would not be safe." All the rising 5th graders have the option to stay at Mill Creek Elementary under the proposed zoning change. The district is holding a meeting with concerned parents on Thursday. It starts at 6p.m. at Nolensville Elementary. The Williamson County school district sent us a powerpoint on the proposed rezoning plans that was unveiled at a school board meeting.